I was worried about this one for a couple of reasons. First of all, I haven't really been all that into the recent spate of super-hero movies. My favorite of the genre is probably either The Incredibles or The Rocketeer, both very self-aware films, and your average super-hero movie is a little more self-serious. Secondly, I'm no Joss Whedon super-fan. And he's only got super-fans, it seems. You're either a devotee of Buffy, Dollhouse, Firefly, and Serenity or...well, you're just not. And I'm just not (I didn't even love The Cabin in the Woods, though I did like it). I guess it all comes down to whether you like Nathan Fillion or not, right? Third, The Avengers was primed, by its very nature, to be the overstuffed sequel that doesn't live up to the original (think The Matrix Reloaded, Spider-Man 3, and most chillingly for our purposes, Iron Man 2). The film casts six movie stars (though only one mega-star in Robert Downey, Jr., reprising his Iron Man performances) in central roles and has to find something for all of them to do. Perhaps shockingly, then, The Avengers totally worked for me. While a couple of the quips fall flat, and it stretches believability (I know, I know...) that a spy with two pistols and a gifted archer would be worth having around when The Hulk (Mark Ruffalo), Captain America (Chris Evans), and Thor (Chris Hemsworth) (not to mention the already-mentioned Iron Man) are on your team. Scarlett Johansson's Black Widow squeezes off only three or four rounds in the whole film. 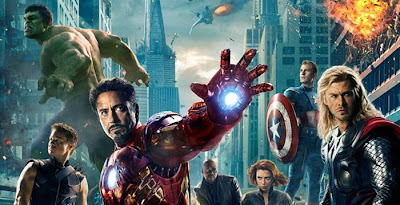 The Avengers is the best of the Marvel adaptations, save the first Iron Man. Far better than the cheesy Thor or Captain America films, it even bests all three Sam Raimi Spider-Man movies, with far better acting being the differentiating factor. It's been a long time since I heard applause at the end of a movie, but The Avengers earned it, at least at the screening I attended. Amazingly, Whedon finds something for all his Avengers to do, gives us a bad guy worthy of six heroes (Tom Hiddleston is great as the scorned yet Shakespearean Loki), and keeps the action pumping. The New York City finale is gloriously over-the-top, and owes a debt of gratitude to Michael Bay's Transformers: Dark of the Moon (yes, you read that right: gratitude). All in all, good, escapist fun, with a healthy dose of witty banter, exploding buildings, and yes, the salvation of the world. 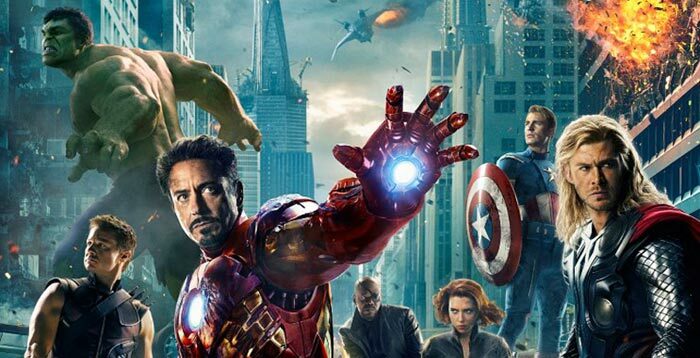 The Avengers: 3.5 stars out of 5.